Let’s face it—some of us are procrastinators. We know there is work to do around the house but we can’t seem to pull ourselves away from the newest Netflix series. While there are some home improvements that can be pushed off to the backburner without a lot of consequence, there are other improvements that need to be dealt with immediately, or they could end up costing you a fortune. We all know the cartoonish image of a leaky roof with water buckets in every corner of the home. But what about a small, slow leak? It surely can’t cause that many problems, right? Unfortunately, slow and small leaks can be the most dangerous. They drip at a snail’s pace and sometimes go unnoticed. If you do notice a small leak, you might find it by way of a small yellow water stain on your interior ceiling. When it stops raining, the dripping disappears. Out of sight, out of mind. While it may take a long time for a slow leak to do this much damage, it’s not out of the realm of possibility. Any leak in your roof, whether it’s fast or slow, should be addressed immediately. Roof replacement can eliminate these costly headaches and make your home more energy efficient to boot. Most of us enjoy a nice spring breeze, but air shouldn’t be coming through the window when the sash is closed. Air can enter the home through several access points of the window, including the sash, where the frame meets the sash, and the sill. Just like a slow leak on your roof, small drafts in your windows can ultimately cost you a fortune. This is because energy can leak through a window at an alarmingly fast rate, even with a gap as tiny as 1/8th inch. How much can this impact your monthly utility bills? While it depends on the season, Energy Star states that inefficient and drafty windows account for 25%-30% of your home’s energy bill. You can imagine how these numbers will easily drive up if the draft is left unattended. While drafts around windows and doors are bad enough, leaking moisture can pose even further problems. Moisture can enter just about anywhere through a window where energy can escape. When it comes to moisture leaking through an entry door, you’ll find trouble spots in areas including the frame, the threshold, and potentially the glass unit of the door. Leaking moisture can lead to a variety of costly problems. It can start as an innocent stain on the wall that eventually ruins the drywall. It can also destroy wood frames around the door. If the door is a material such as wood, damage to the door itself will eventually manifest as peeling paint or potentially rot. Rot leads us to one of the biggest (and costliest) exterior headaches. When wood door and window frames are left untreated and exposed to the elements, this material can easily rot. 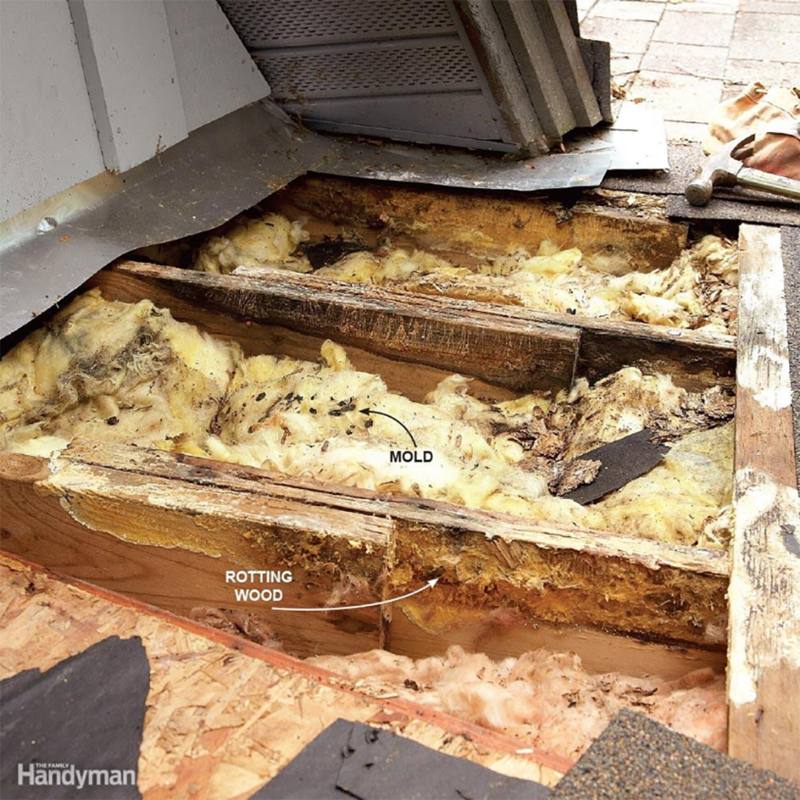 Unfortunately, wood rot can quickly spread. This can ultimately result in the wood frames crumbling away at the touch of a finger. Another costly problem is wood rot inside of a window frame. This is a difficult problem to detect because it is hidden behind the window frame. Window installation professionals can often determine if there may be problems going on underneath the window frame. 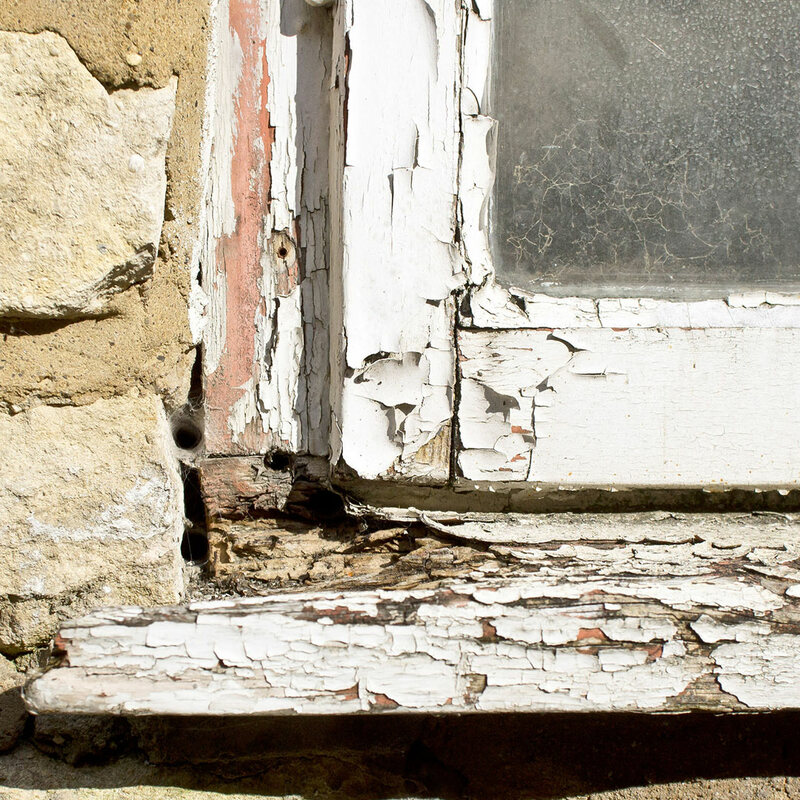 It’s important that windows and doors are professionally installed to prevent rot. It’s also wise to choose vinyl windows or fiberglass doors that are resistant to moisture damage. If you neglected the state of your gutters last autumn, you might be finding yourself in a costly situation this spring. Clogged gutters cause a host of headaches for homeowners. While the most obvious problem is backed up water, this issue is often much more insidious in the long run. When a gutter becomes clogged, it can easily overflow and put a tremendous amount of weight on the system. Your roof may or may not be able to handle the excess weight, and the gutters can pull away from the home and take a portion of the roof with it. Not only are the gutters at risk of damaging the roof, but it can also lead to pooling around the foundation. This pooled water can ultimately make its way into the basement and cause flooding. Lastly, clogged gutters can cause mold and mildew to grow from places ranging from your roof to your basement. If these headaches are haunting your home, it’s time to spring into action. Universal Windows Direct can help improve your home’s energy efficiency, prevent moisture and drafts, and keep costly catastrophes at bay. Contact us today to learn more.